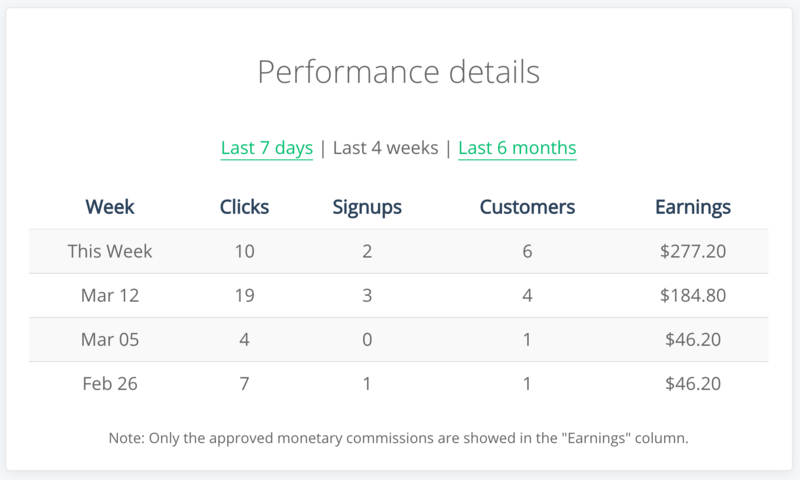 As a Demio Affiliate, you'll be able to track the performance of your affiliate links. You can hop over to the Details section to get a better look! Earnings: the total amount of Affiliate income earned—usually a product of your Customers and your reward!